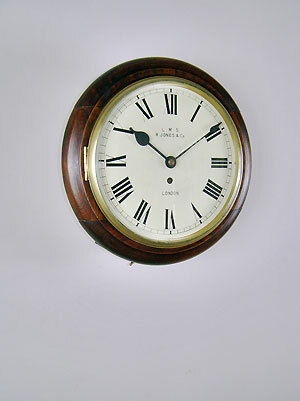 This is a 10 inch (26cm) wireline and fusee dial clock signed R. Jones and Company - London L.M.S. (London Midland Scottish Railway). 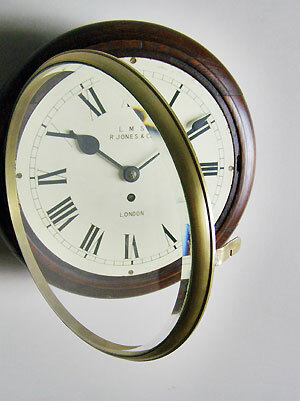 The clock has a cast brass bezel with bevelled glass covering the Roman dial. 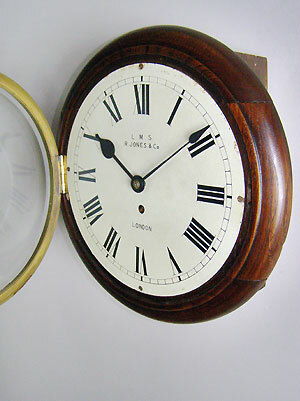 Works and dial are housed in a stained oak case.